Editor's Note: This post was originally published on Salesandmarketing.com. If you’re a sales manager, you know this to be true: Having that tough conversation with a salesperson who isn’t meeting goals is never fun. Telling people they’re not meeting expectations and inspiring them to turn things around isn’t easy. In fact, most of the time, it’s downright uncomfortable. Alas, it is absolutely essential. 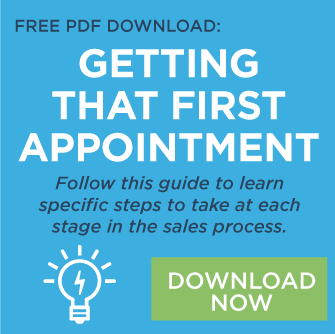 From here, most well-meaning sales managers pivot into the helpful, inspiring part of the conversation, discussing the need to increase activity, generate more proposals, ask for the sale, and increase the closing ratio. Then, they close with a motivational message that instills confidence in their salesperson and demonstrates an openness to help. While this boilerplate conversation checks the box, it likely will not solve the problem. The salesperson may be excited and inspired by the sales manager’s energy and passion. But more often than not, the salesperson doesn’t walk away with the information (or tools) needed to improve. The reason? The sales manager told the salesperson what to do but not how to do it. Let’s be honest: Reaching positive results while coaching salespeople isn’t instantly gratifying or easy. Not only must sales managers make it a priority, but they also must invest significant time into it. Spending time to develop and nurture your sales team doesn’t deliver overnight results. Instead, over time, coaching builds a stronger sales team of people equipped and motivated to achieve their potential. In most situations, the key to effective coaching is diagnosing the issues. The most effective way to do this? Observe a salesperson in action. This type of in-the-trenches coaching requires a manager to accompany a salesperson on calls — but with the sole intention of observing, not demonstrating. Taking over a meeting to close a sale for an underperformer will drive revenue in the moment, but it’s not going to set up the seller for future success. A manager I know puts major emphasis on coaching and team growth. One way she implements this is through role-playing: She likens it to baseball players taking daily batting practice or golfers having sessions at the driving range. 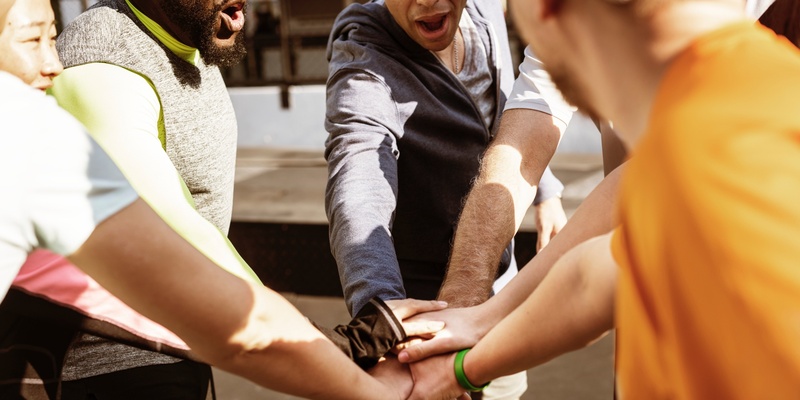 Role-playing with your team (and with individual employees) helps your sales crew get comfortable with typical situations, anticipate potential issues, and effectively respond to common objections. That same manager who employs role-play also uses weekly sales meetings as coaching opportunities. Team meetings had become too focused on “housekeeping” items, many of which could be communicated via email. The manager began putting more emphasis on what’s working and what’s not in the sales process. Team members began learning from each other, especially from stronger performers who gladly shared tips and success stories. Effectively coached salespeople recognize their own potential and have the tools to hone their skills. In turn, the company is able to recruit top talent — sales stars want to be part of successful teams. The key to coaching successful sales teams is focusing on the how, not the what. When you go beyond telling someone what they’re doing wrong to showing them how to do things differently, you’re providing tools for long-term success. Here are five expert tips to keep your team on track to meet its goals. It’s important to focus on firsthand feedback. Your comments should be based on what you observe with your own eyes and ears. If you’re not seeing something, it’s difficult to provide constructive feedback. And if you weren’t there to see it, you’re likely missing essential details. Not only do you risk providing inaccurate feedback, but it can also hurt your credibility for the future. Successful salespeople are those who play to their strengths. The coaching and feedback you provide should be designed to help salespeople better understand and harness their talents to reach success. Research by Gallup shows that doing the opposite — emphasizing weaknesses — damages morale and causes disengaged employees. In contrast, building feedback around strengths was found to be more effective in driving performance over time. Just because one of your team members gets from point A to point B differently than you might, doesn’t mean it’s wrong. If it’s effective (and the salesperson is consistently getting where you need her to be), don’t invest too much time in what is ultimately stylistic feedback. Instead, keep your focus on what will make a difference in the outcome. The best coaches are actively involved in a team’s day-to-day interactions, and they take every opportunity to provide feedback. And in those moments when time, pressures, and sales goals begin to distract you, keep your focus on driving performance by investing in training, building capabilities, and recognizing the steps to success along the way.